FROM Soft has an erratic track record with how cryptic it can be to find the DLC in the Dark Souls and Bloodborne games. The first Dark Souls required an absolutely arcane process that you'd probably never discover if you didn't already know how to do it. 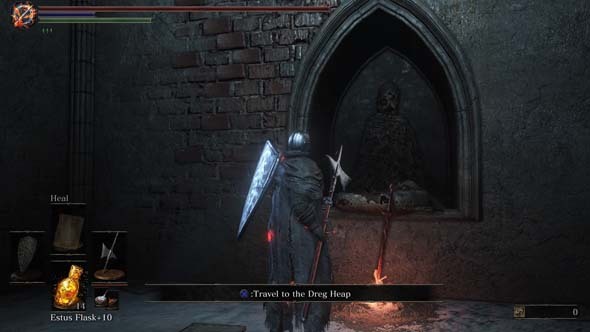 Dark Souls II apparently had its three DLC planned form the beginning, as the vanilla game included shrines for accessing each DLC - at least one of which is in plain view and can't be missed. 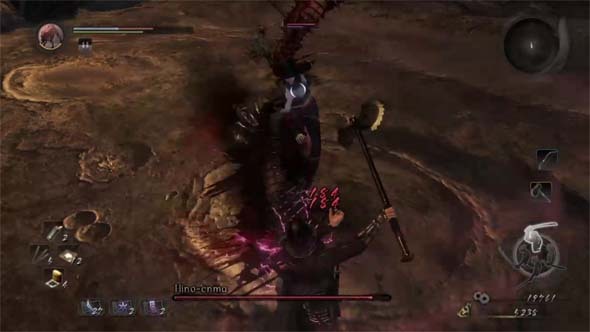 Bloodborne put a prompt on the screen telling you where to go, but accessing the DLC still required the player to counter-intuitively interact with a specific entity in the game world. 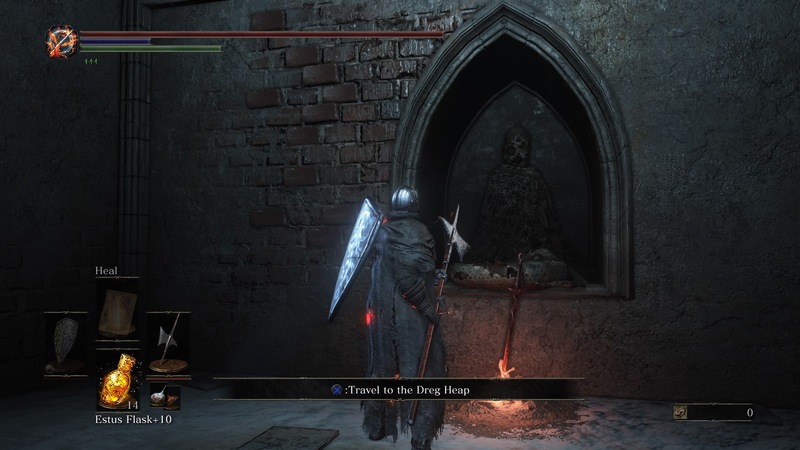 And Dark Souls III's first DLC added a character that you could talk to who teleported you to the DLC. So how would The Ringed City implement its entrance to the DLC? 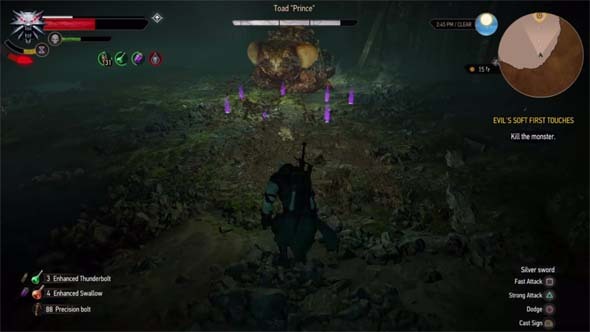 Would it require some arcane process of killing optional enemies in optional areas? 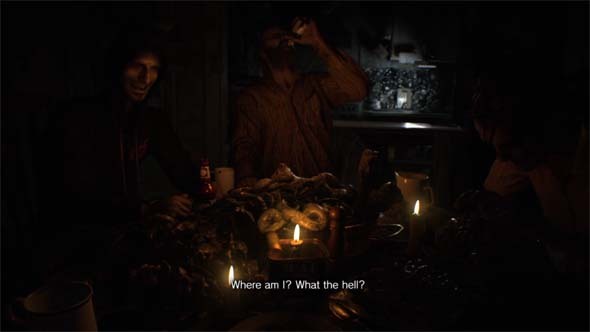 Would a dialogue box just pop up to tell the player where to go? If you ask me, The Ringed City might have the laziest and most boring access point of them all. An extra bonfire just appears at one of two specific points, which teleports you to the new area. It makes the whole thing feel like a very detached afterthought. If you don't want to wait till the end of the game, you can access the DLC early by beating Ariandel. If there's one common thread for the DLC, it's that it always requires the player to be teleported across space and/or time. Continuing that tradition is disappointing. I was really hoping for the DLC to be integrated into the actual game world -- that it would reveal some previously-blocked-off path in some obscure or interesting region of the map that would simply allow the player to walk to the DLC, thus revealing the game world to be much larger than originally believed. Like maybe defeating the Stray Demon gatekeeper above Farron could have opened the gate and revealed a path to the DLC. Or the Kiln of the First Flame could have a new path leading down into the Dreg Heap. Or you could descend into the chasm below the Profaned Capital. Something like that. I've never played any of the Far Cry games. I possess a copy of Far Cry 4 because it came bundled for free with my PS4, but I've yet to actually insert the disc into the console and try the thing. 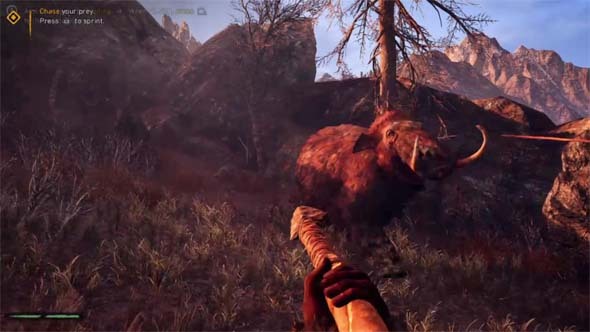 I was intrigued by Far Cry Primal because it looked like it might explore a novel subject matter that games have kind of ignored for as long as I can remember. Apparently, Far Cry 4 had a bit in it in which you play as a primitive human riding around on animals during a drug-fueled hallucination, and Ubisoft decided to adapt that concept into a full game. The last time that Ubisoft had done something like this, they had taken the naval combat from Assassin's Creed III (the completely dissociated highlight of an otherwise boring and stupid game) and converted it into Assassin's Creed IV: Black Flag. And I loved Black Flag! So I was optimistic that Ubisoft might have another novel treat in store for me. I've played dozens of first person shooters, but I've yet to play as a caveman in 10,000 BCE, so let's give this a go, shall we! 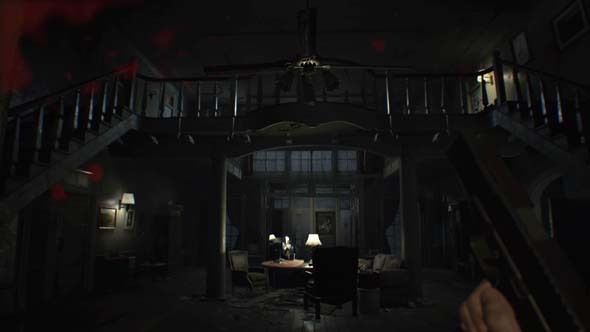 The game begins by showing the date 2016, with modern ambient sounds, apparently intended to make the player think that the game might have some kind of present-day framing device (similar to Assassin's Creed). But then the clock starts ticking back to 10,000 BCE, and the game begins. I wonder if this was intended to mock Assassin's Creed and subvert possible player expectations. This game got off to kind of a rough start for me. I was killed by the mammoth in the tutorial because it charged at me before the game displayed the tutorial tip teaching how to attack with a weapon. So that seemed like a cheap death, and gave me a bad first impression. Fortunately, the next few hours of play didn't have any similarly sloppy design, and I was rather enjoying myself. I died in the tutorial because the mammoth charged me before the game taught me how to use my weapon. It didn't take long, however, for the novelty to wear off. 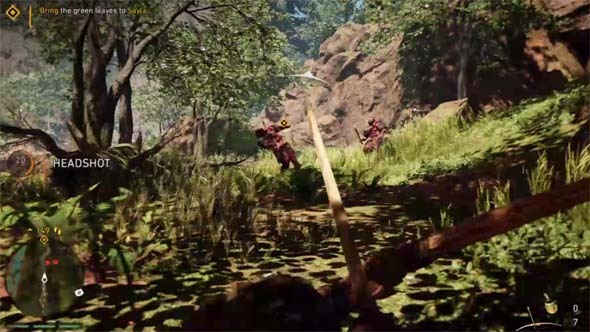 Combat has a focus on melee combat with clubs and spears, which leads to a problem similar to other first-person hack-n-slash games: the constrained field of view makes situational awareness very difficult. 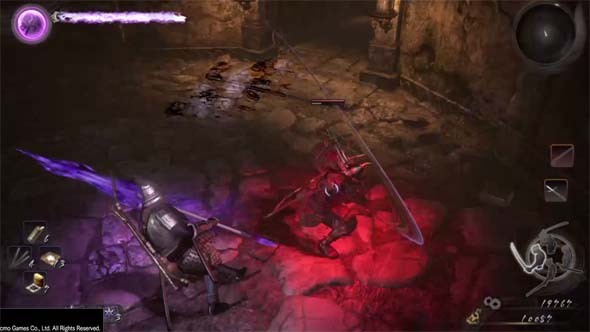 Without the option to toggle to a third-person view, it's difficult to tell exactly what is going on immediately around your character, and close-quarters combat with mobs frequently degraded into just spinning around mashing the attack button. Fighting animals can be even worse, as many of them (such as dholes and badgers) are small and fast and incredibly difficult to actually hit. The problem is mitigated somewhat as the game goes on, as new utility abilities are introduced, but I was saddened that Ubisoft didn't really do anything particularly interesting with the basic combat. And it doesn't really get much better when the utility abilities are introduced, as they mostly just involve simply sicking your tamed beasts on the enemies and hoping that the beast doesn't die. In the regular gameplay mode, you'll also have access to overpowered one-hit kill attacks and bombing runs with your owl that act similarly to an air strike or artillery bombardment in other games. These attacks are so overpowered that the Survival Mode disables them entirely. If you have a powerful enough wolf, bear, or saber-tooth tiger beast, you can often just get away with commanding it to charge a group of enemies while you sit back and watch. This is one game in which a bow and arrow actually makes sense as a primary weapon.